BRYAN EATON/Staff photo. 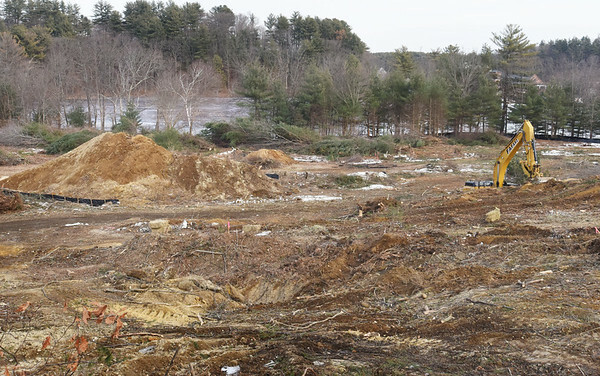 Clear-cutting and grading of the site of condominiums at Bailey's Pond, seen in back, is underway in Amesbury. View is from Route 150 where Alan's Truck Stop used to be.